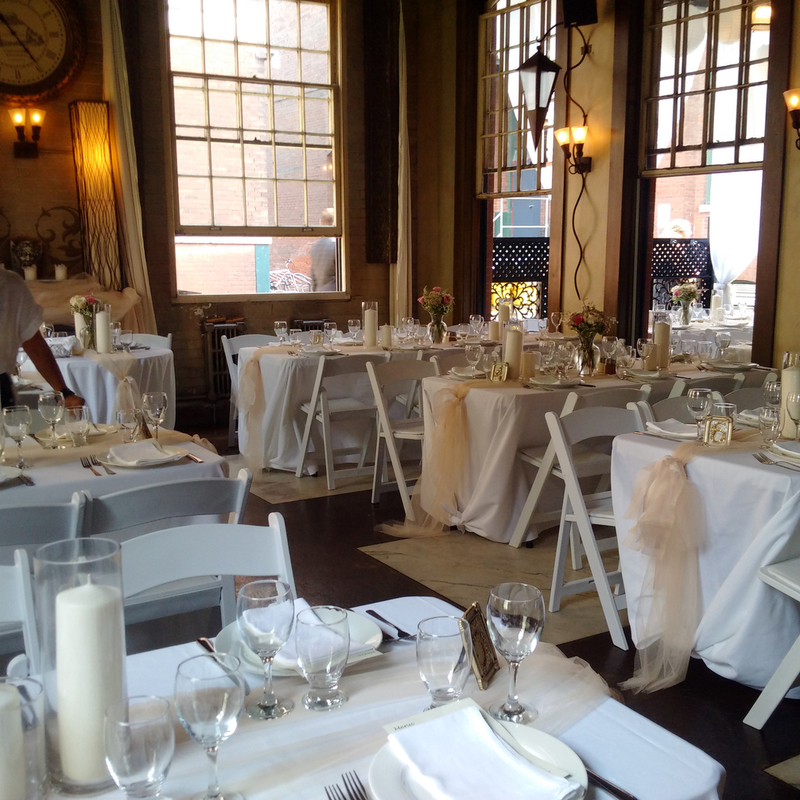 CaFfinO weddings are beyond compare. 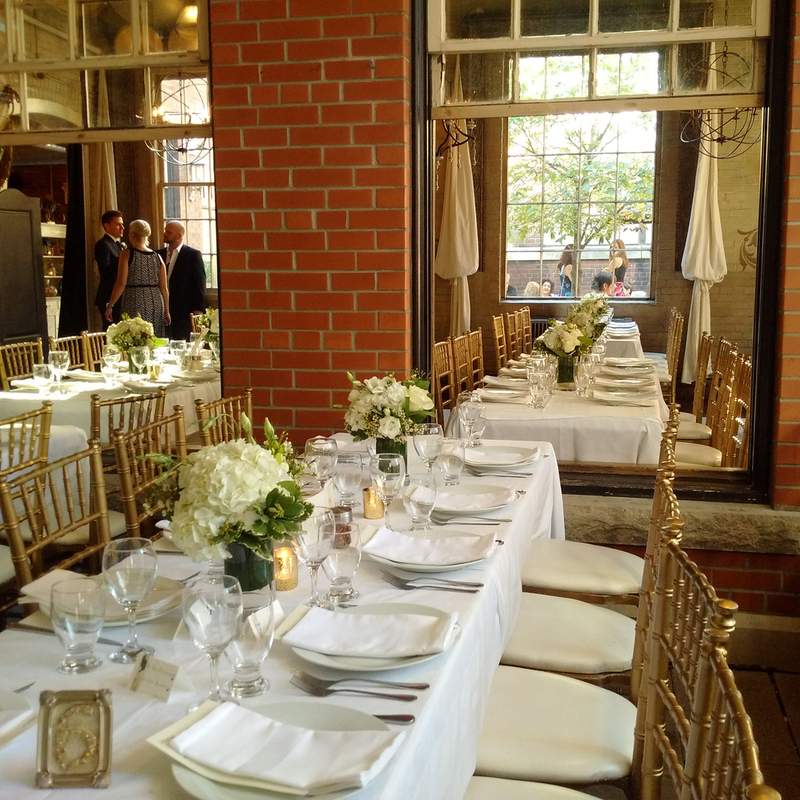 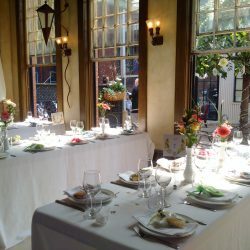 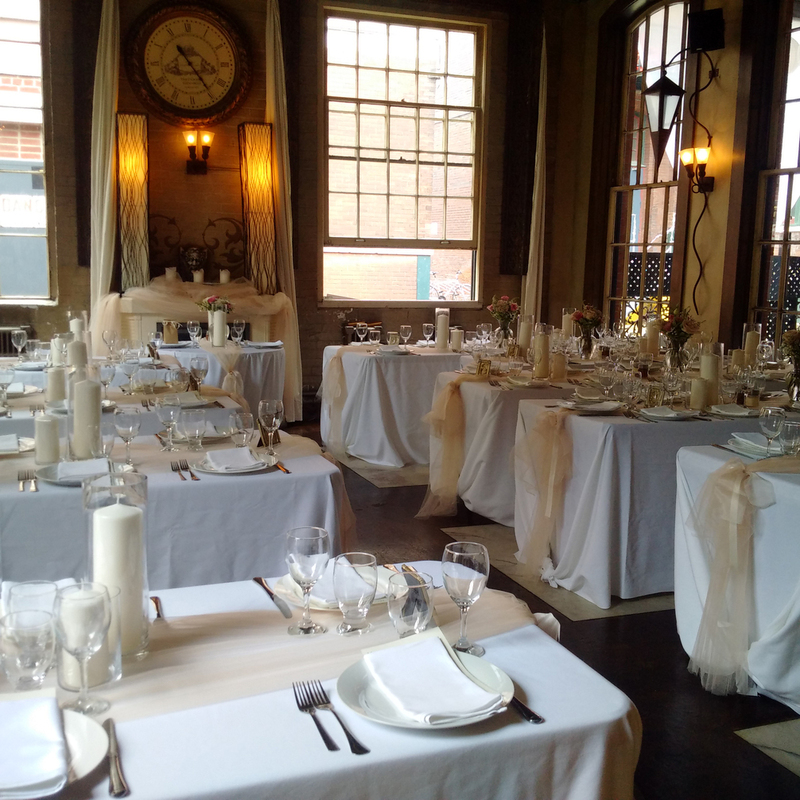 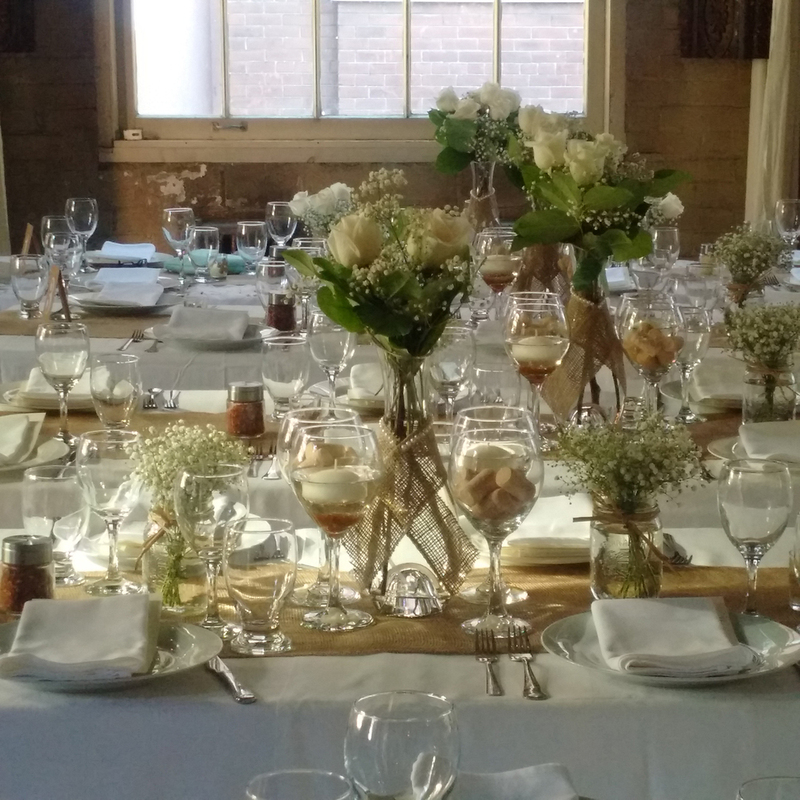 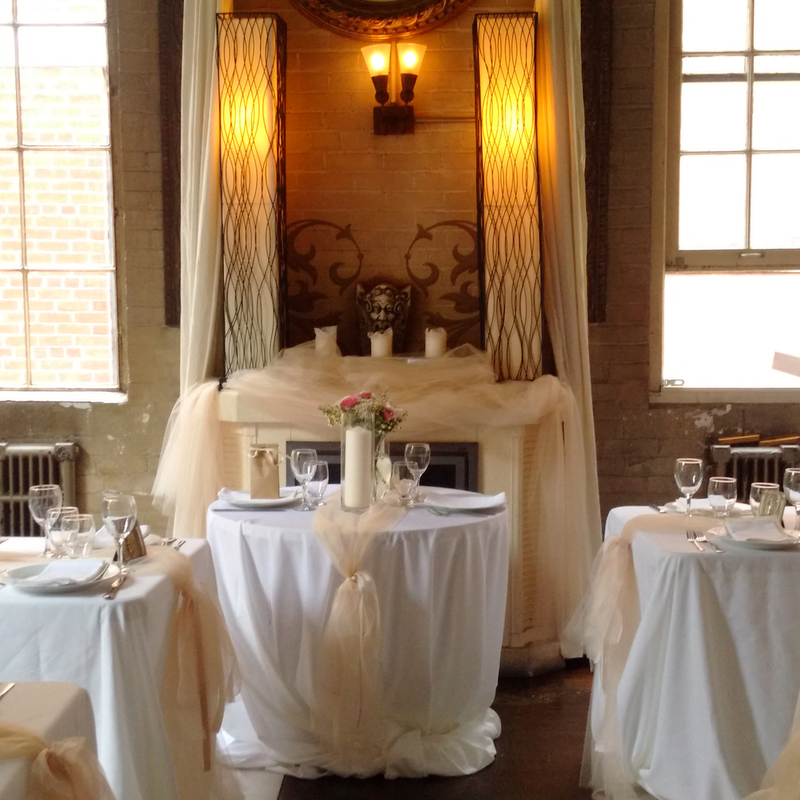 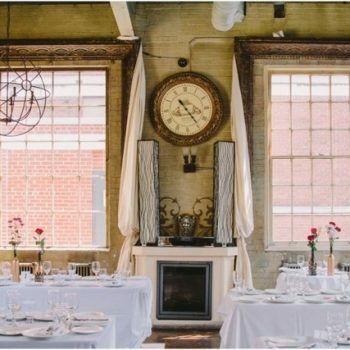 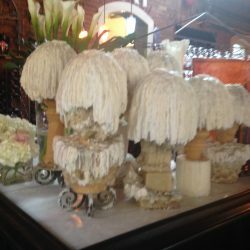 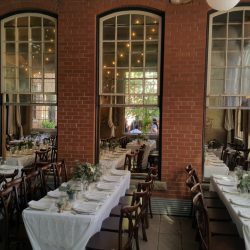 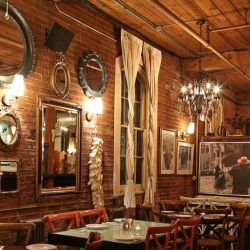 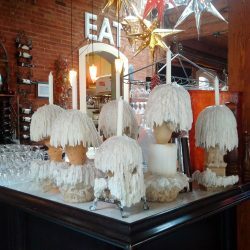 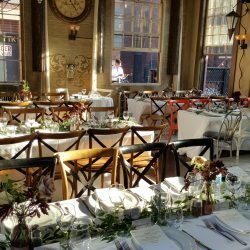 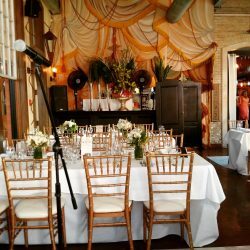 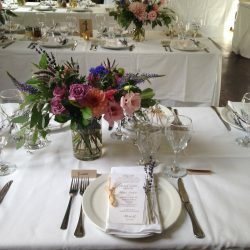 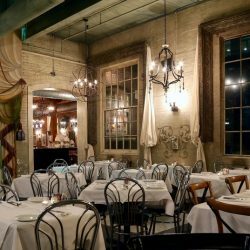 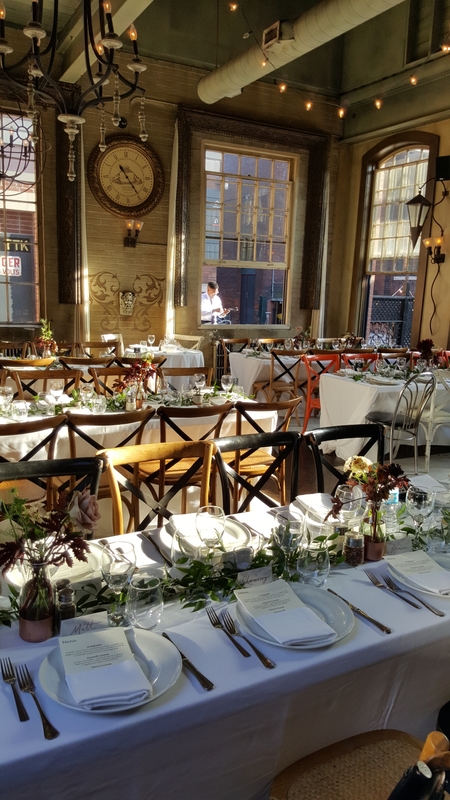 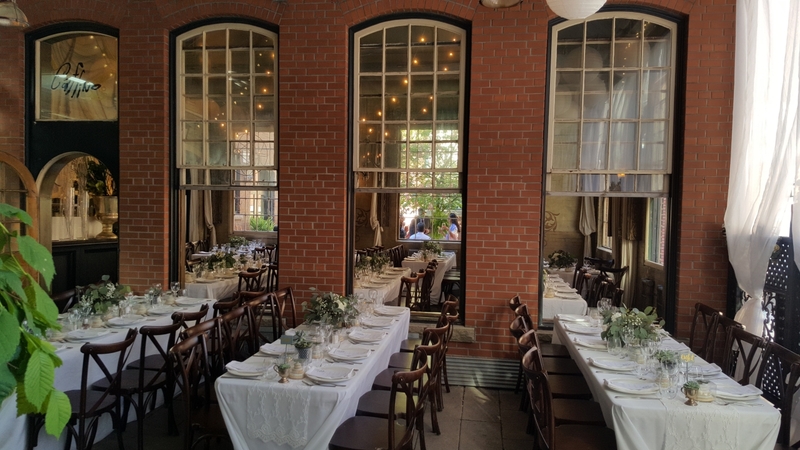 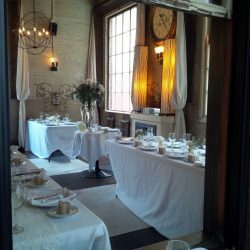 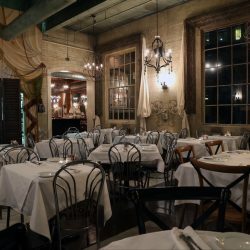 Every wedding we host at CaFfinO is unique, from the incomparable experience of the venue, which was built in the late 1800’s, to the exquisite menu and professionalism of the staff. 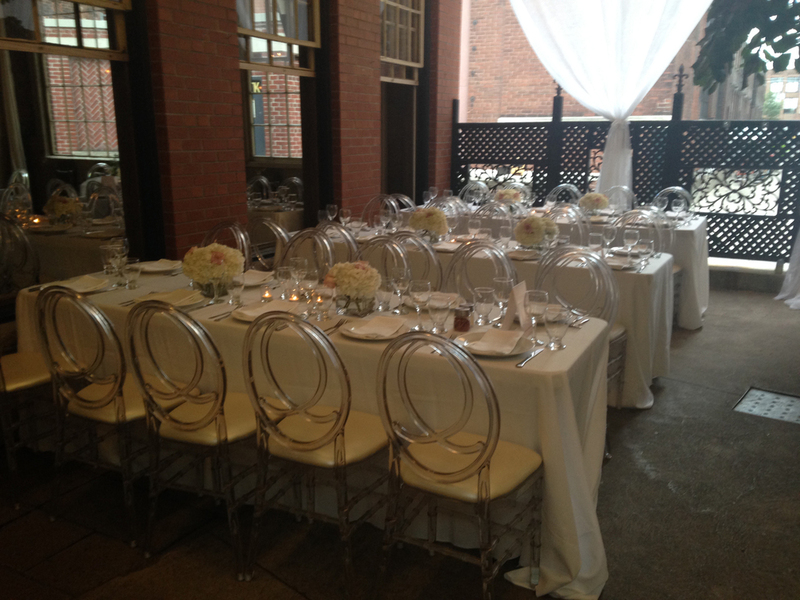 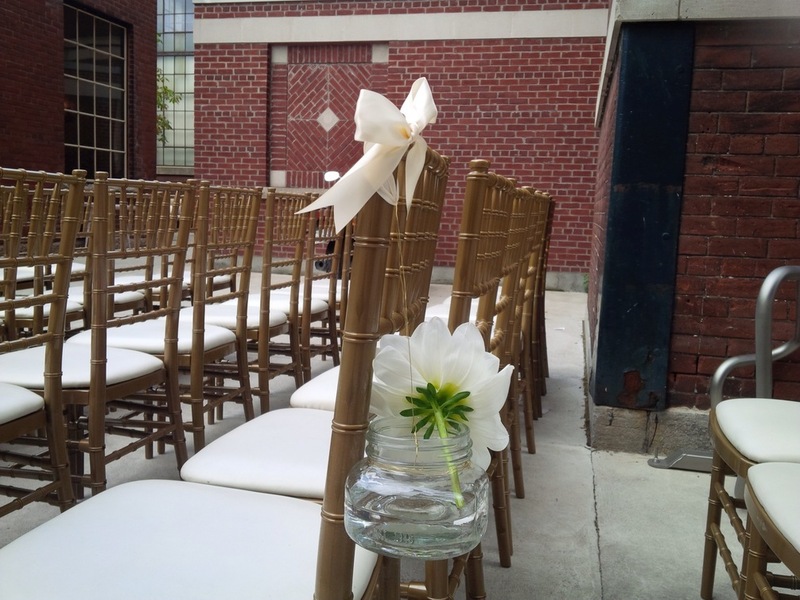 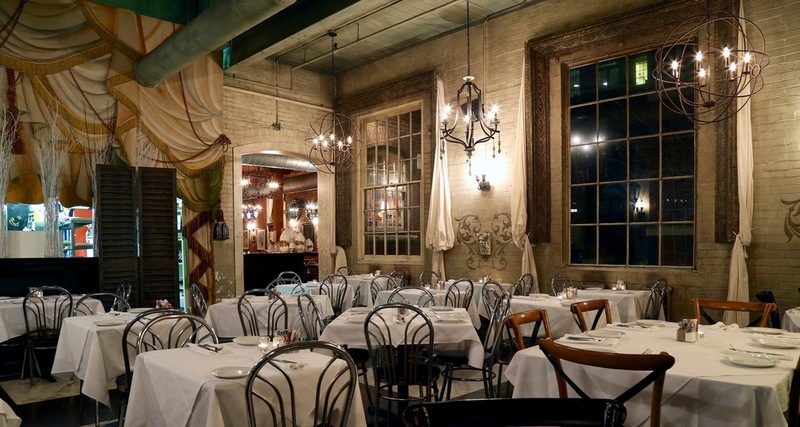 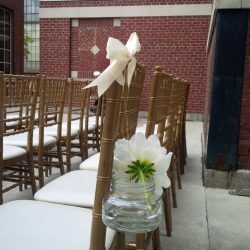 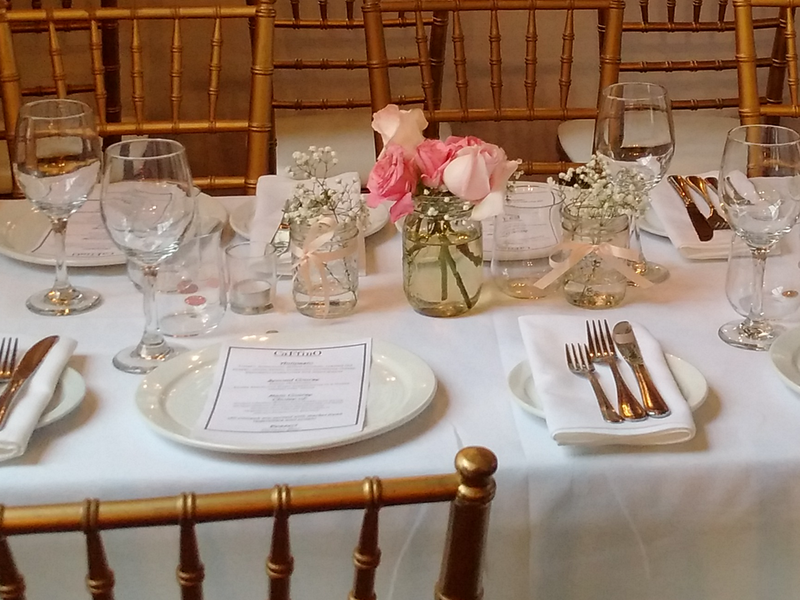 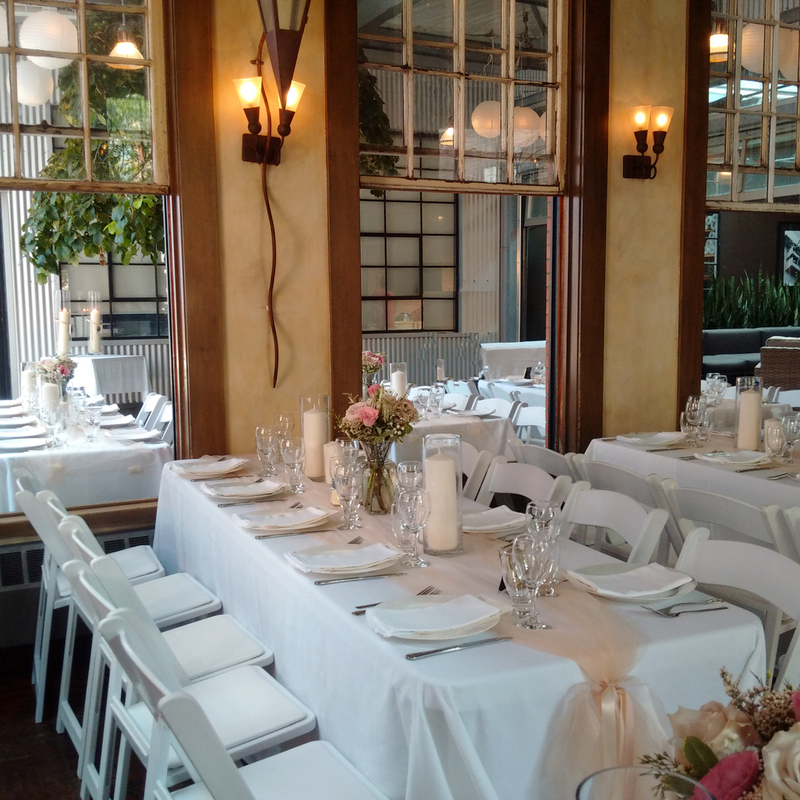 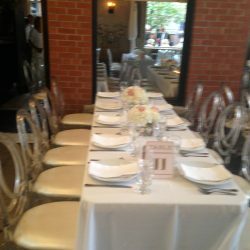 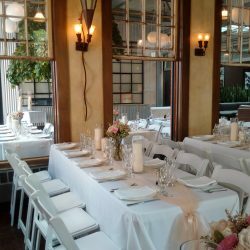 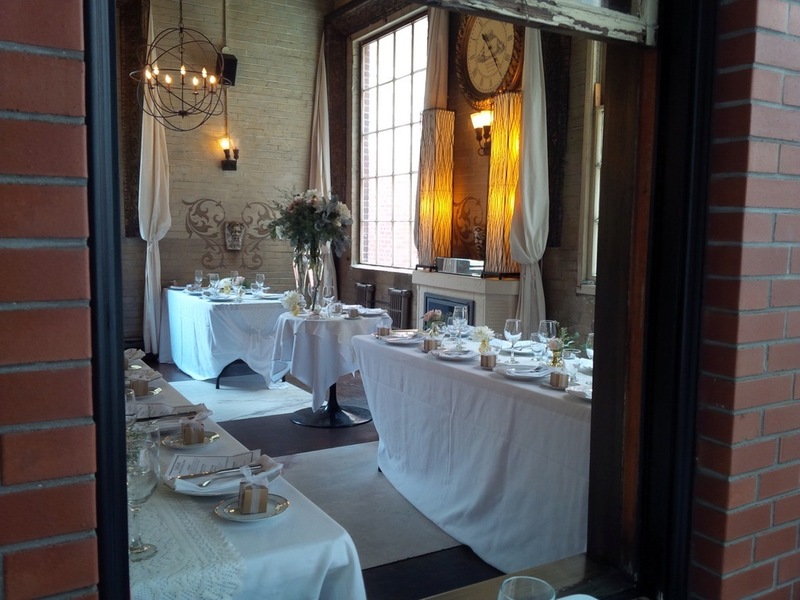 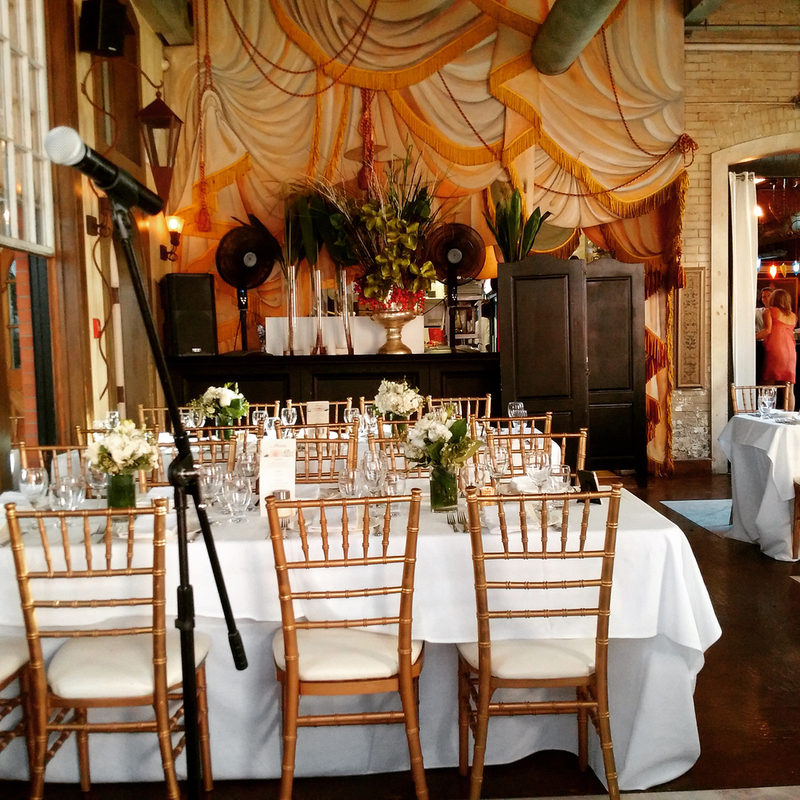 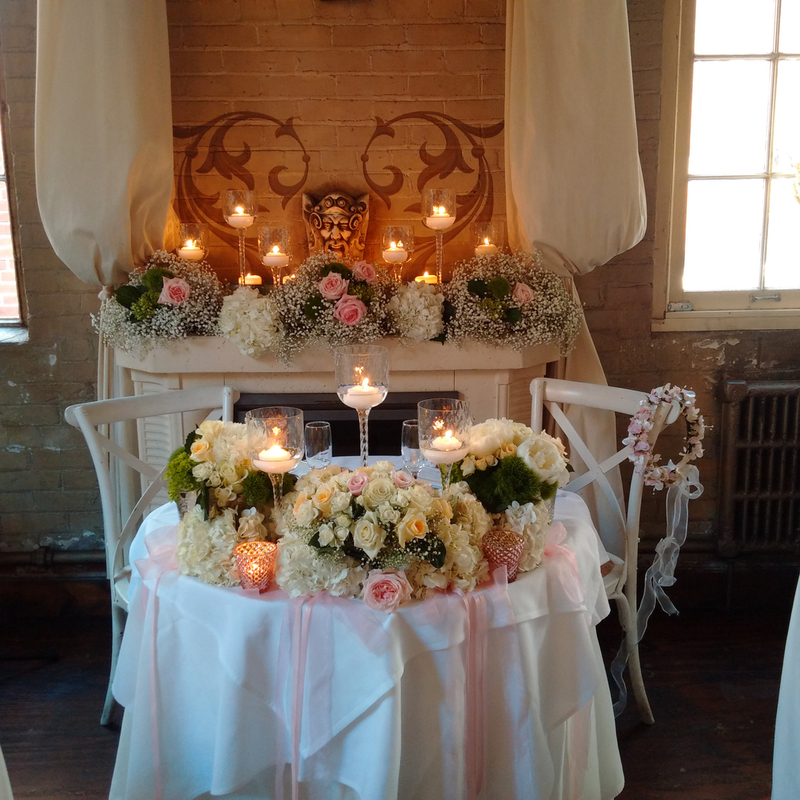 CaFfinO hosts weddings up to 125 people, meshing both in-door and outdoor space. 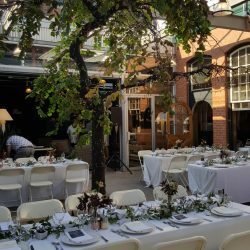 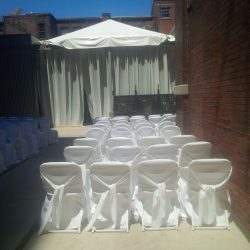 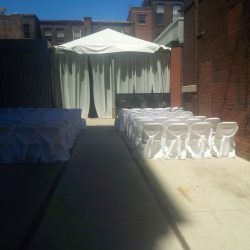 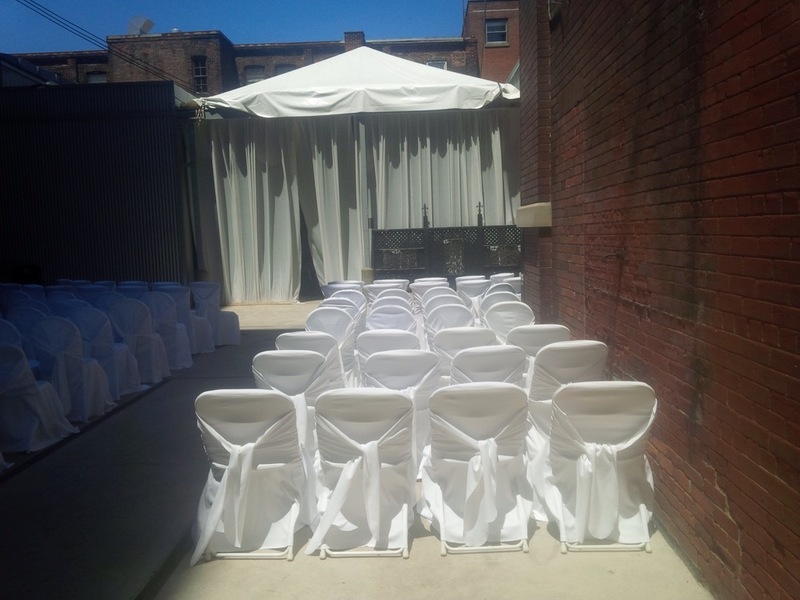 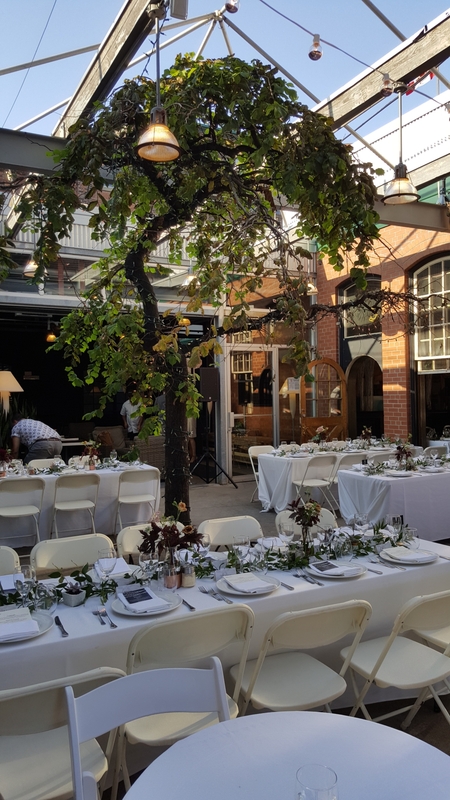 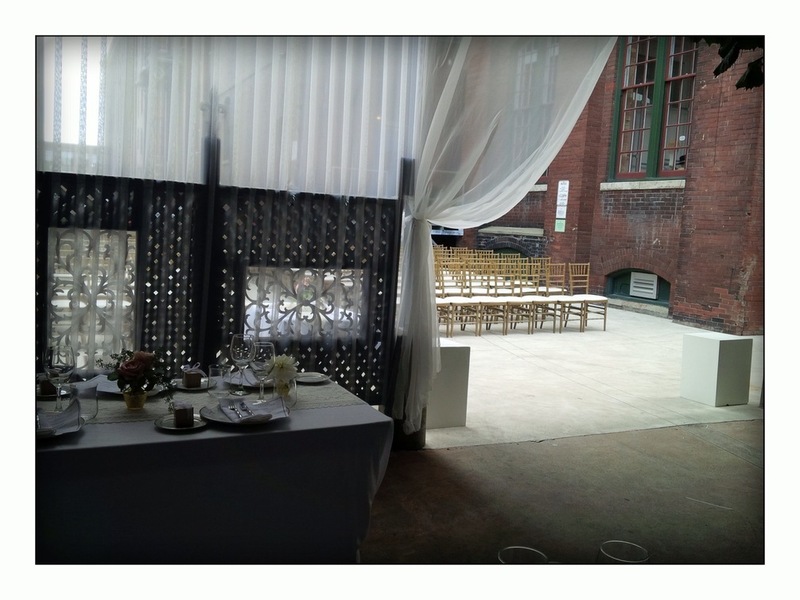 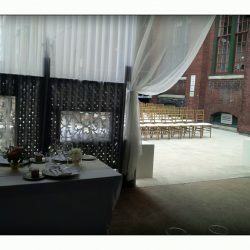 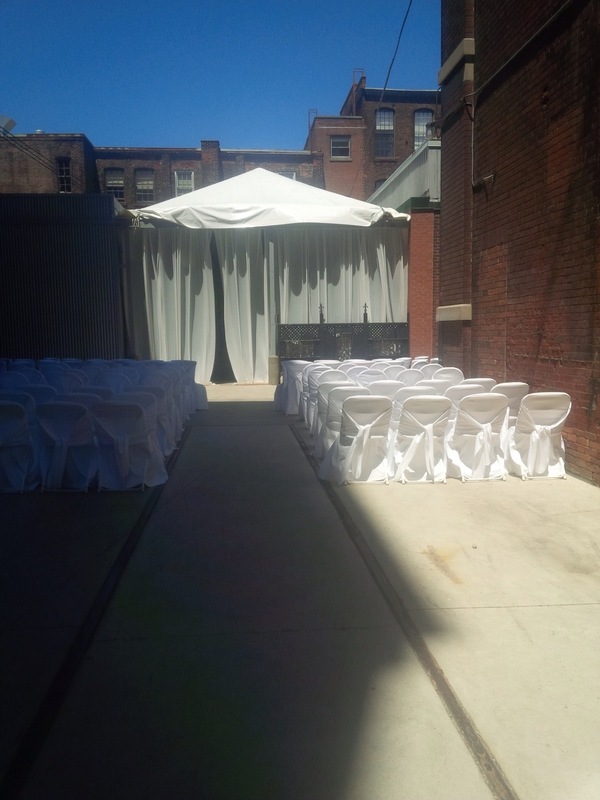 Our outdoor space with the courtyard , tracks and white billowing tent is unique in every way – there’s no other place like it in the City, it makes a perfect backdrop for any ceremony. 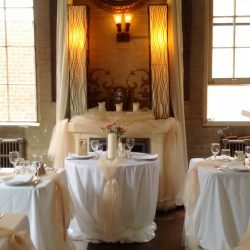 Our goal is to make all your dreams come true. 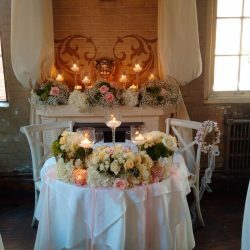 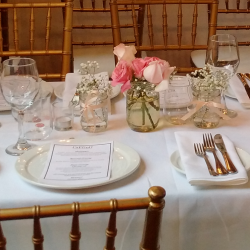 We offer a wide array of in-house services, including working with your vendors, event planners and you, to ensure that every detail is perfect. 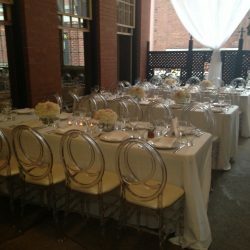 What makes CaFfinO unique is not only the beauty of the venue, but the simple fact that all you have to do is tell us what you wish for and your wish is granted – we take care of everything! 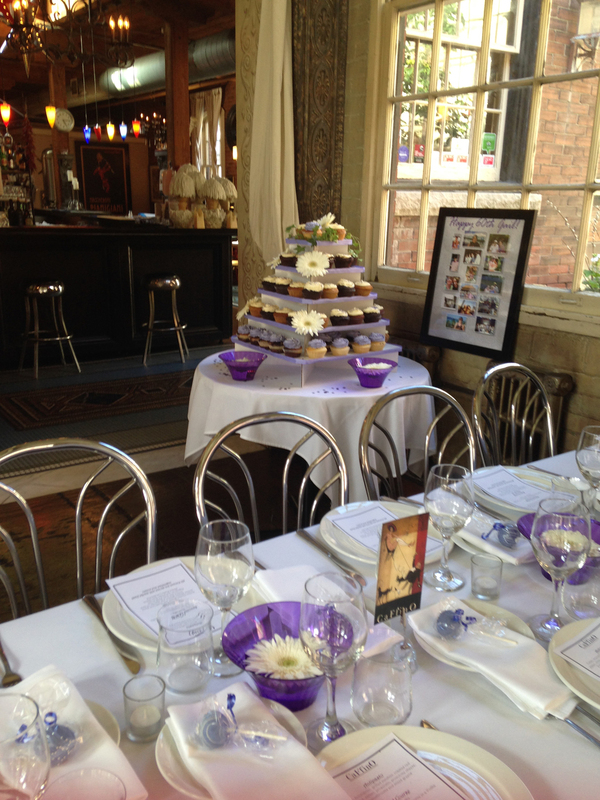 Our wedding menu allows you to be flexible and provides a variety for your guests to choose from. 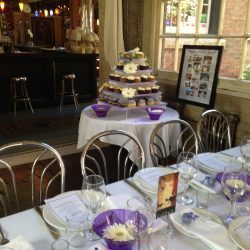 We use only the finest ingredients and all of our food is made on the premises fresh on your special day. 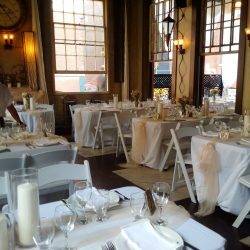 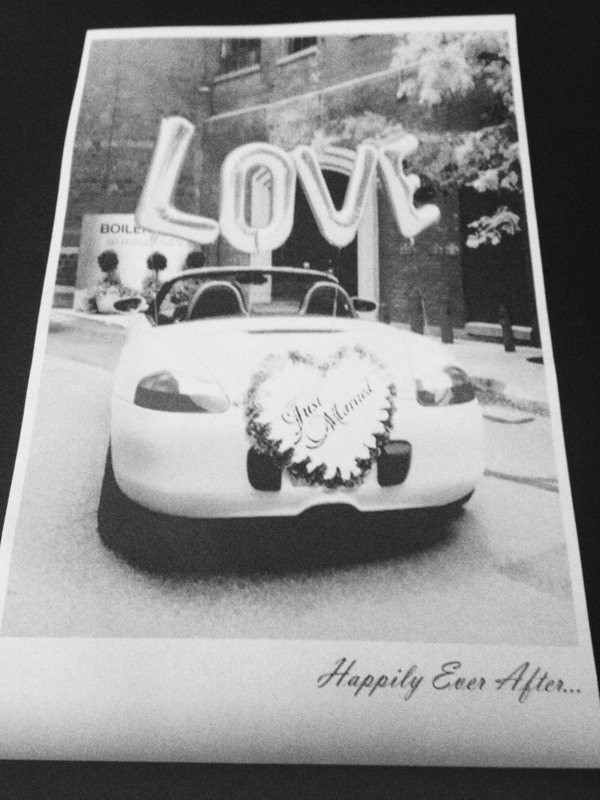 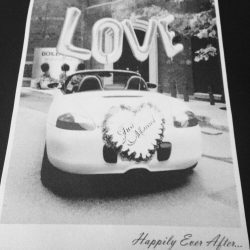 CaFfinO has hosted many weddings throughout the past 20 years, we pride ourselves on achieving excellence and making sure that your wedding day memories are the best ever. 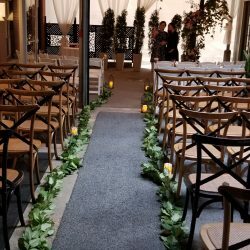 Thank you for considering CaFfinO for the most important day of your life. 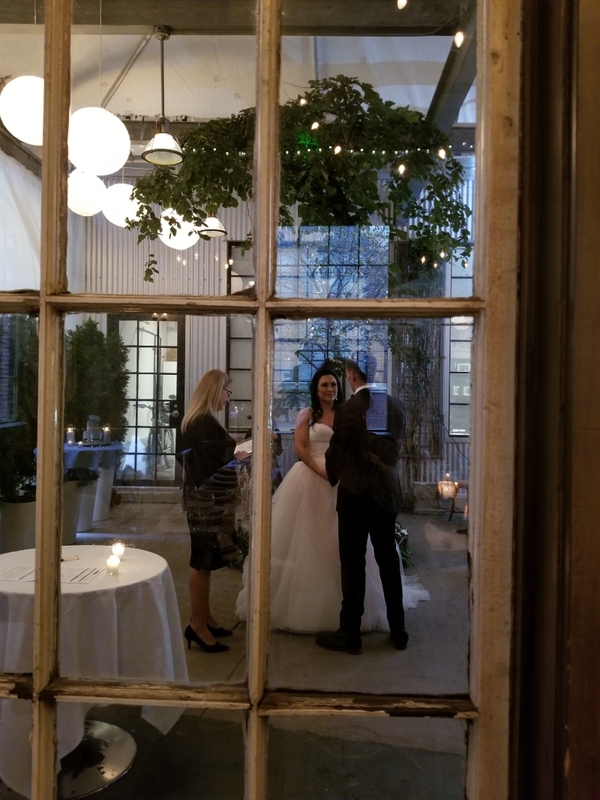 Dear Rosa, Thank you for making our day most memorable. 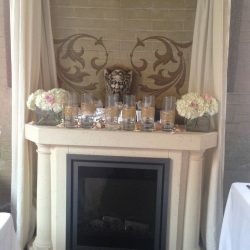 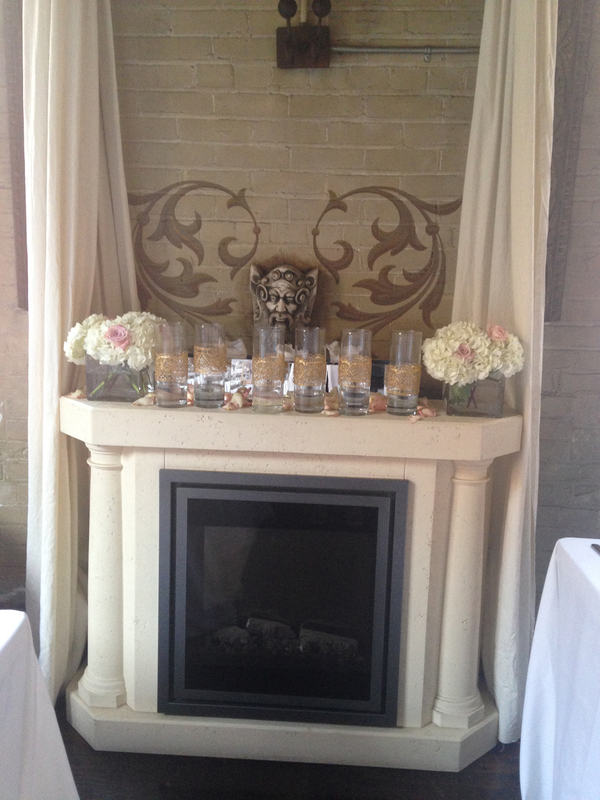 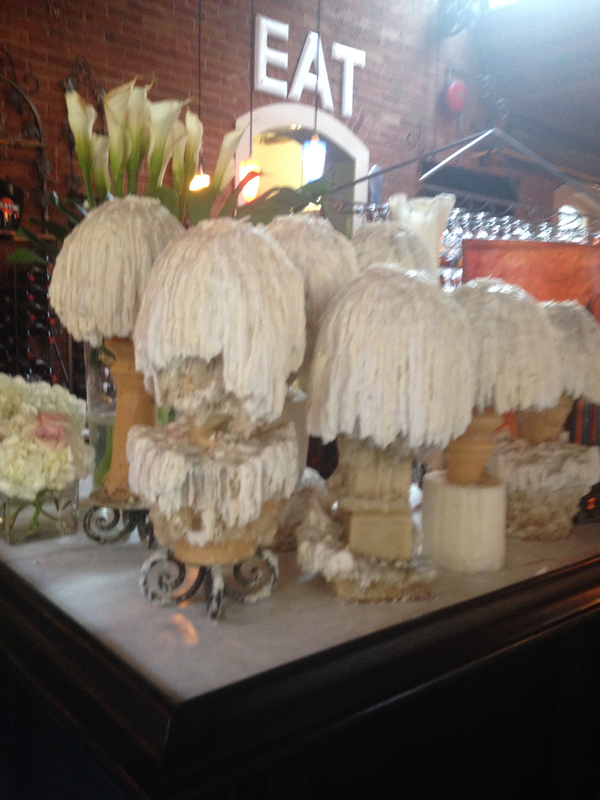 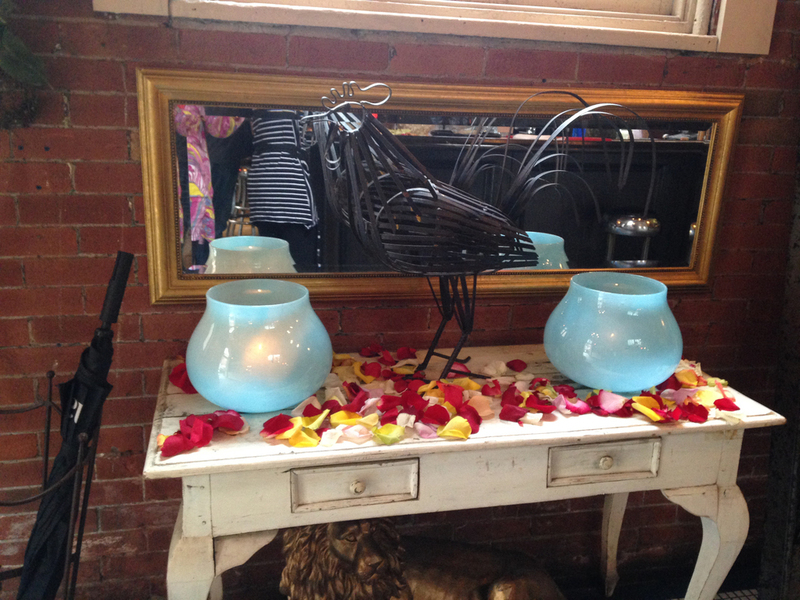 The ambiance was magical, the food was impeccable and we loved every minute of it. 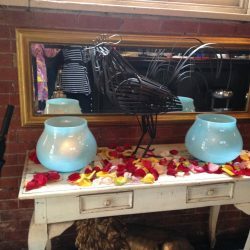 We appreciate all your effort in making it a spectacular day! 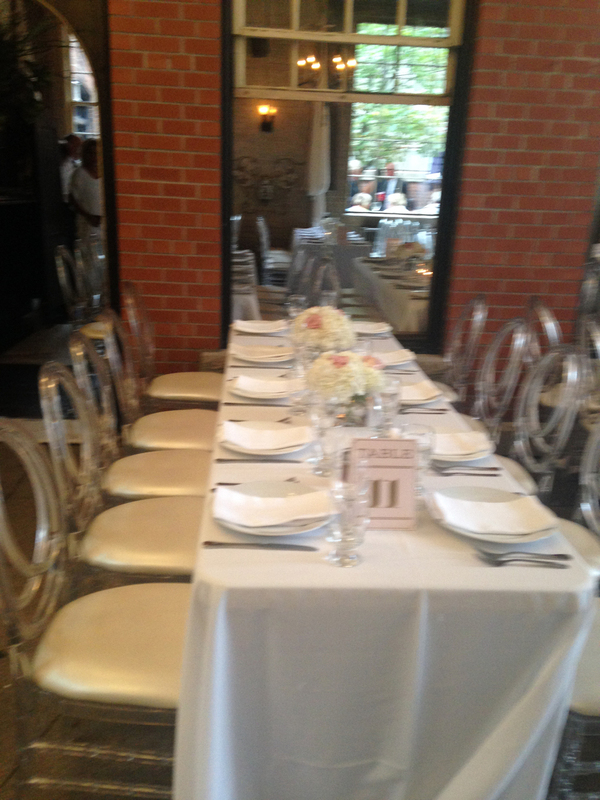 Rosa and the Caffino Team, We cannot thank you guys enough for all you did for us!!! 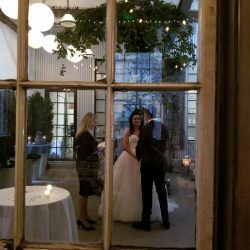 You truly made our wedding day the best day of our lives! 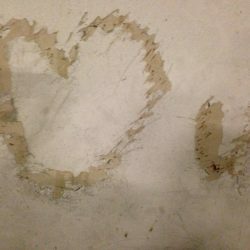 You guys were just so good to us and all of our friends and family! 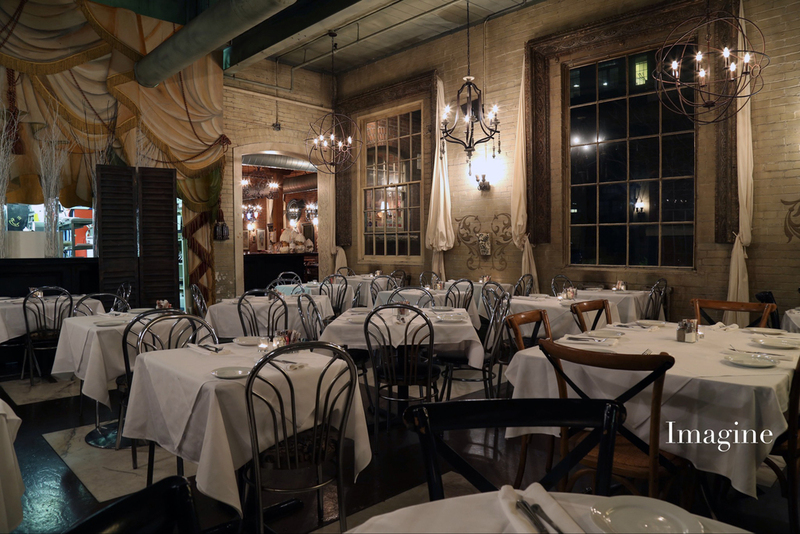 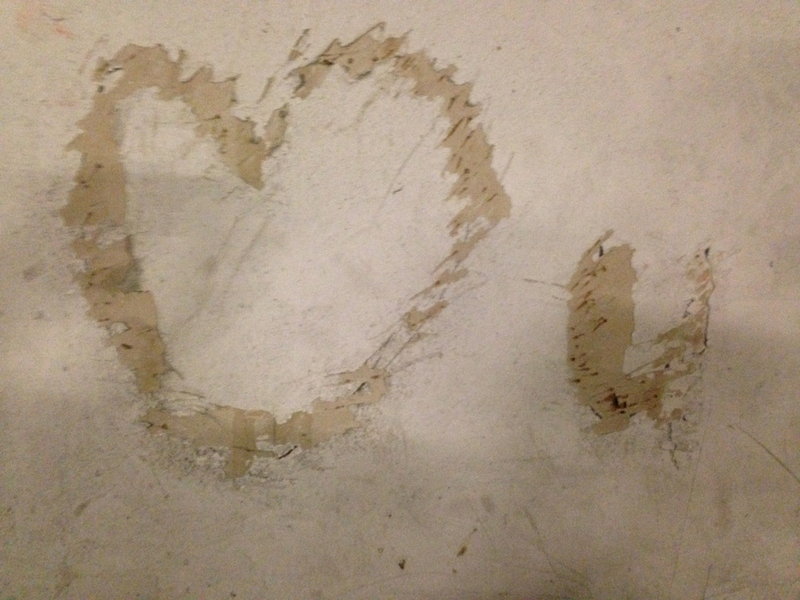 We can't wait to continue to come back to Caffino for many years!